Design the New Type of End bell to Increase Motors' Characteristics WENMing;Anhui Wannan Electric Machine Co. Improvement of Casting Defaults on the Frame Flange of Submersible Pump Motors WU Qinqin;MANG Dying;Anhui Taiwei Electric Co. Process Optimization on Aluminum Casting of the Static Blades Shroud of Blower in Turbine Generators DONG Hongda;WANG Guoxiang;Shanghai Electric Power Generation Equipment Co.
Brief Introduction on Motors' Operational Protection and Its Principle SHEN Yang;Anhui Wannan Electric Machine Co. Influence on the Rotor Temperature-field by the Resistivity of Rotor Windings in the 1100MW Semi-speed Turbine Generator SU Ying;LI Weili;HULei;Beijing Jiaotong University;Shanghai Electric Power Generation Equipment Co.
Simulation on Synchronous Generation operation Under Typical Short-circuit Faults LIANG Gang;ZHAO Jimin;ZHONG Houhong;Shanghai Jiao Tong University;Shanghai Electric Power Generation Equipment Co. Calculation of No-load Characteristics of BLE Brushless Exciter Based on Finite Element Method YAO Weikang;XU Yufa;LIANG Xubiao;ZHONG Houhong;Shanghai Dianji University;Shanghai Electric Power Generation Equipment Co. Analysis and Treatment on the Synchronous Pull-in Failure of the Synchronous Electric Machine YE Sen;WANG Yu;Tellhow Shenyang Electric Machine Co.
Development of Stator Conducting Parts of 1240 MW Turbine Generator QIAO Xiuxiu;Shanghai Electric Power Generation Equipment Co. Restrictive and Protective Configuration of the Large-size Synchronous Compensator As Well As Establishment of Their Setting Value HANG Chenxiang;Shanghai Electric Power Generation Equipment CQ. Simulation on Pull-in and Pull-out Torque of the PM Synchronous Motor by Asynchronous Starting-up CHEN Feihu;ZHI Gang;Changhang National Shipping Group Motor Factory;Wuhan Yanghua Electric Co.
Simulation Study on Dielectric Properties of Traction Motor Insulation Structure in Plateau Environment QIU Tian;GAO Yunxia;ZHOU Cheng;Chengdu CRRC Electric Co. 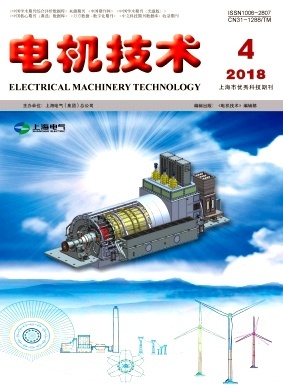 Improvement of Impacting Connection Technology on the Main Electric Connector of Metro Traction Motors LAN Wanling;LIU Quan;CRRC Zhuzhou Electric Co.
Development of the Semi-plastic Commutator of Traction Motors in Urban Rail Transit ZHOU Cheng;FANG Qiang;Chengdu CRRC Electric Co. Cause of Abnormal Sound of Bearings Mounted on the Motor of Subway Locomotives by Means of Road Transport and Its Treatment Hongyong;GUO Lei;CRRC Lhuzhou Electric Co.